Hi there....I have a 2001 sportsman 500 HO with EBS. My clutch belt is rubbing the engine side clutch sheave and making the bike creep, hard to shift etc. I rebuilt the clutch about 700 miles ago. My one way bearing is good , but I notice lots of side to side play. How much should I have? I have three washers behind the secondary also. Which direction should I move my lower motor mount to get belt back in the center of the pulley? (replaced mount 700 miles ago too) I would think to the right , but if I'm "twisting" the engine and clutch pulley, then moving to the left should move the belt towards the center of the primary clutch right? My rad fan stayed on quite a long time during my last ride. It normally shuts off soon after I get moving faster but didn't. Is my sensor getting worn out? 2001,2002 models always had trouble on creeping. One way bearing clearance using a feeler gauge against the inside of the bearing against the inner sheath should have no more than .020 clearance or the belt could "walk" it's way over on the one way and not stay centered,touching the inner sheath. When this happens it can be clutch alignment needed(shims that you've already done once) or a worn fiber and brass washer on each side of the one way if side to side play is excessive. First thing I do on the fan running longer is to clean the radiator especially around the back by the fan to eliminate it as the problem. Sometimes you may even need to remove it if you can't clean it thoroughly while installed. Thats what I thought might be happening ,because of the side to side movement the belt is walking over the pulley grooves. I've got about 1/8" of side to side play there I'm sure. How do I take up that space? Do I use extra PTFE washers or add another brass one? My rad is clean, I had the bike all apart while working on the carb and replaced my winch at the same time. (all plastics off) I'm wondering if I loosened a connection up front while in or around there? I also started to hear a high pitch noise while the engine is running at idle? I made all the tools I needed to dismantle my primary clutch last year. That spider is really on there at around 200 ft lbs! I like your idea on replacing that brass washer and will try it when I reassemble. Which direction should I try moving the engine to get my belt running in the center again? Any advice on servicing my one way EBS bearing? I'm going to clean it apply a light grease to the rollers. Is that ok? I'm not sure if the fan was running when I heard the noise , but good idea on what it could be! Brass washers would cup or just wear down to nothing. Using a steel washer was from a Polaris engineer I talked to years ago when I kept having to change the brass ones out. Have to be careful on the one way as it has small bearings along with thin metal spring plates that hold them in.Grease the clutch shaft then slide the one way back on. 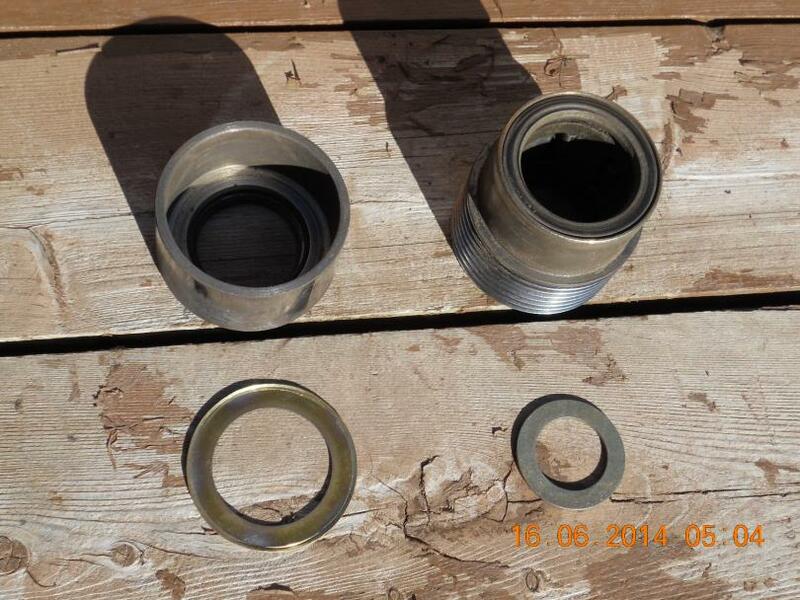 If the bearings/strips are worn or rusted out,replace the one way bearing. Shouldn't have to try to move the engine mounts if the one way is snug after the new washers are installed and the rear clutch shimmed out enough for the belt to ride center of the one way. Thanks OPT.....I'll give it a try in a few days hopefully. Great idea for the steel washer instead of the brass too. I wondered why they even went from the PTFE to brass? My clutch had a PTFE washer on both sides of the one way bearing when I opened it up the first time. Did u say i should only have about 20 thous of an inch ,side to side play in the one way bearing once the spider is tightened down? How can I shim it if i have more than that ,even after changing the washers? More washers? The PTFE (fiber washer) doesn't change.. You install a new one,replace the worn brass washer with a steel washer that goes in the "cup". It's what puts pressure against the one way after the spider is tightened. The washer that I used and recommended by Polaris was one that's on the back of the driven clutch,NOT any shim inside the clutch.Item #2. 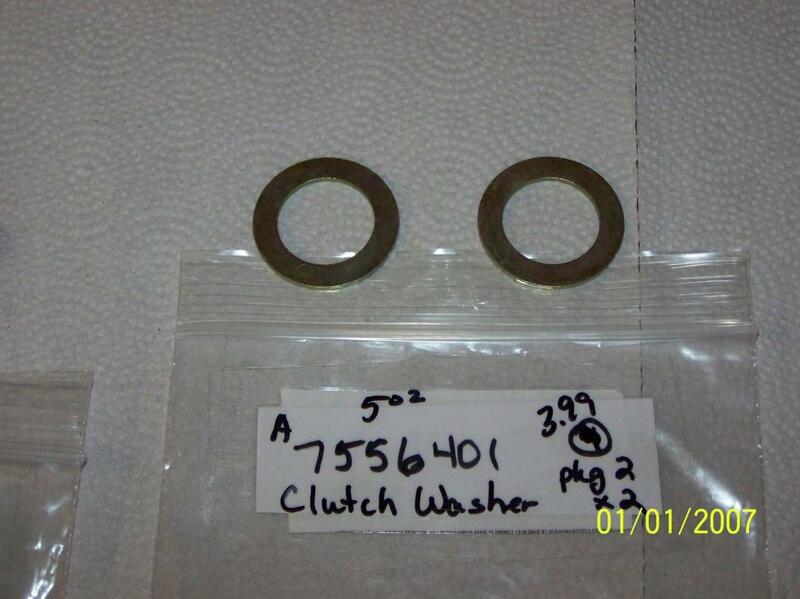 Dirt Cheap Yamaha, Honda, Arctic Cat & Polaris OEM Parts & Accessories – Cycle Parts Warehouse #7556120 (.906 x 1.38 x .060) The same washer that's used on ebs and non ebs clutches.You can match this up at any hardware store. 20 thousandths is correct. With the new washers it may have a little tighter clearance on the one way,but will be fine. Plus this is the same size washer(s) that I used to shim OUT the rear clutch for alignment. Kept a dozen or so in my tool box. I went looking at my "cup" and one way bearing again and grabbed one of the washers I was using "behind" the secondary clutch and unless I'm missing something , it's way too small to go inside the cup to replace the brass washer. See pics below. That is the same part # you mentioned on cycle parts warehouse too,I've ordered a few of them in the past. Sorry... Brain fade again. 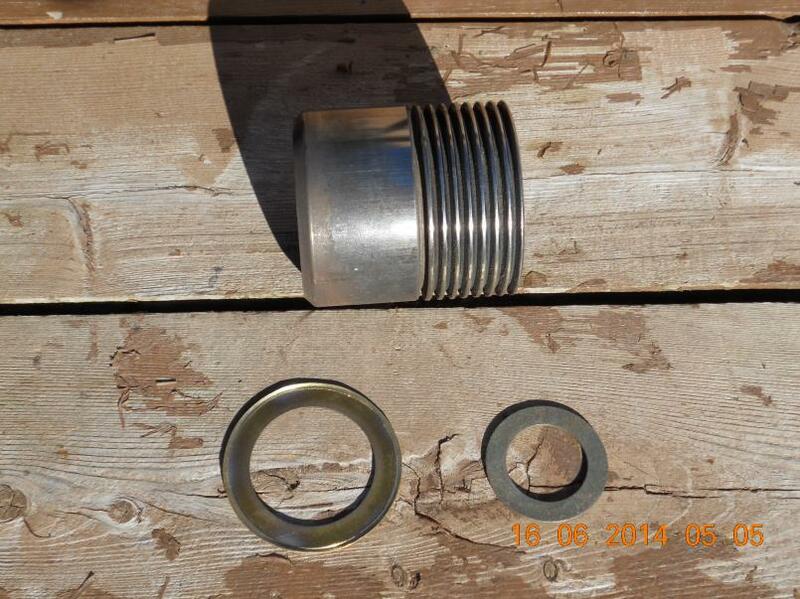 #7556401 from the older non ebs driven clutches(99 Trail Boss 250/2000 Trail Boss 325 or take the old brass washer and match up overall dimensions at your local hardware store. It's thicker than the brass one and will last longer.